Israel Kamakawiwo'ole: The Voice Of Hawaii The late Hawaiian musician known best for his ukulele-backed rendition of "Over the Rainbow" was a man with a standout voice and tremendous size. At more than 6 feet tall and weighing close to 1,000 pounds, "IZ" died when he was only 38. The late Hawaiian musician Israel Kamakawiwo'ole (Kah-MAH-kah-VEE-voh-OH-lay), did something rare in music. He redefined a beloved classic. His version of "Over the Rainbow" has the poignancy of Judy Garland's and the shimmering vulnerability, but these days it's heard so often on TV and in the movies, a younger generation may only know Israel's version. It's become so popular, it is now the most requested version of the song by far, according to music publishing house EMI. That's quite remarkable for a rendition with one voice, accompanied only by ukulele. "In Hawaii, we talk about this thing we call mana," says musician Del Beazley, who grew up with Israel and wrote two of his songs. "Mana is like an energy that you get. We believe we get ours from the elements first, the Earth, your sky, your ocean, your God, and all that is inside of us. And when we open our mouth to speak, to sing or to play, that's what we let out. But it's that that makes him [Israel] special, because his mana always came out." Beazley remembers the first time he heard Israel sing. They were teenagers and Israel showed up with his older brother Skippy at a graduation party. "They set up with instruments that were kind of beat up. In fact, one of the ukuleles was held together with bubble gum. What happened was, as soon as Israel Kamakawiwo'ole opened his mouth and sang, that whole place went quiet. Every great singer has something special. It's almost a nasal or head tone. And that thing just cut right through the air, stopped everybody in their tracks." Israel was still a teenager when he and his brother formed a band with three other local guys. They called themselves the Makaha Sons of Ni'ihau. 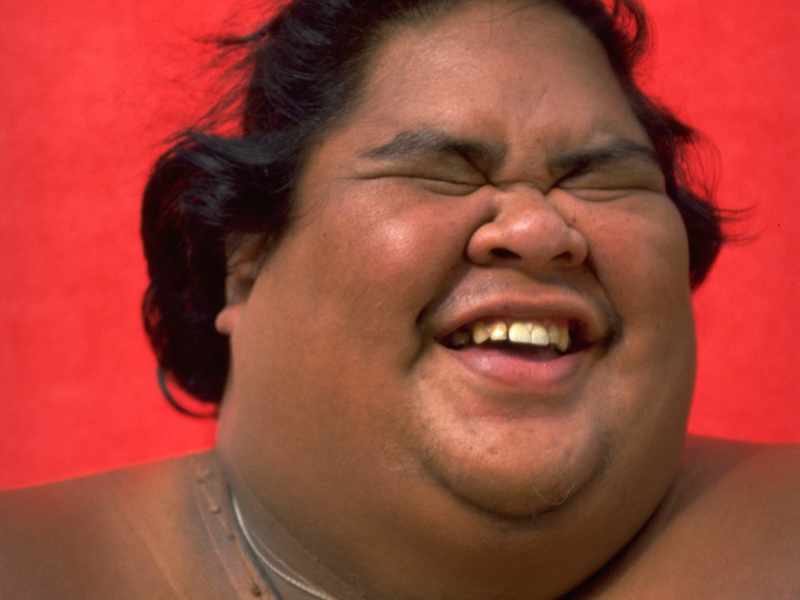 In the 1970s, young Hawaiians were rediscovering their language and culture. In music, that meant getting away from kitschy hula tunes for tourists, like "My Little Grass Shack." Israel's group was among those who embraced traditional melodies. Israel was the group's standout — for his voice and also his size. Both he and Skippy weighed hundreds of pounds — the girth of sumo wrestlers. Israel was over 6 feet tall with flowing black hair. It began at 3 in the morning. Milan Bertosa was at the end of a long day in his Honolulu recording studio. "And the phone rings. It was a client of mine," Bertosa remembers. The client rattled off Israel's unpronounceable name and said he wanted to come in and record a demo. Bertosa said he was shutting down, call tomorrow. But the client insisted on putting Israel on the phone. "And he's this really sweet man, well-mannered, kind. 'Please, can I come in? I have an idea,' " Bertosa remembers Israel saying. Bertosa relented and gave Israel 15 minutes to get there. Soon, there was a knock at the door. "And in walks the largest human being I had seen in my life. Israel was probably like 500 pounds. And the first thing at hand is to find something for him to sit on." The building security found Israel a big steel chair. "Then I put up some microphones, do a quick sound check, roll tape, and the first thing he does is 'Somewhere Over the Rainbow.' He played and sang, one take, and it was over." The next day, Bertosa made a copy for Israel and filed the original recording away. But he was so taken with it, that over the next few years, he played it occasionally for family and friends. "It was that special," he says. "Whatever was going on that night, he was inspired. It was like we just caught the moment." In 1993, Milan Bertosa wound up working as an engineer for Mountain Apple Company in Honolulu, a long-established recording house, where Israel was making a solo album. As Bertosa listened during the final days of recording, he had an epiphany. He turned to producer Jon de Mello and said, "This is great, but there's more." Bertosa fished out "Over the Rainbow" and played it for de Mello. "Israel was really sparkly, really alive," recalls de Mello after hearing the recording. "He had a grand heart attack in 1989, so this was right before his heart attack." De Mello put "Over the Rainbow" (actually a medley, with "What a Wonderful World") on Facing Future, which is still the best-selling Hawaiian album of all time, thanks to one song. "There's been a bunch of articles written about 'Over the Rainbow,' " says Bertosa. "He gets the lyrics wrong, he changes the melody. If you sat there with a book and a score card, you could count the mistakes or you could listen to the song and smile." Israel weighed close to 700 pounds when he came to de Mello to start a solo career in 1993. He was in and out of the hospital. His brother Skippy died from complications of obesity, as had almost all of Israel's immediate family. He knew he was destined for a brief life. To de Mello, everything Israel sang and said became precious. So he instructed his engineers to keep the tape rolling for all the rehearsals, all the jokes. Israel was a very funny man, he says. "And every session, I would keep him for an hour afterwards." Just tell me stories, he told Israel. "There was such great content in what this beautiful Hawaiian man was talking about — the trials and tribulations of his own life and his family's life." "I was scared when I lost my mother, my father, my brother, my sister," Israel told de Mello. "I guess this is gonna sound kind of weird, but I'm not scared for myself for dying. Because I believe all these places are temporary. This is just one shell. Because we Hawaiians live in both worlds. It's in our veins. When our time come, don't cry for me. Don't cry for me. Plant a tree in the middle ... where they play soccer," he laughs. "Kind of small, then I'll grow big." 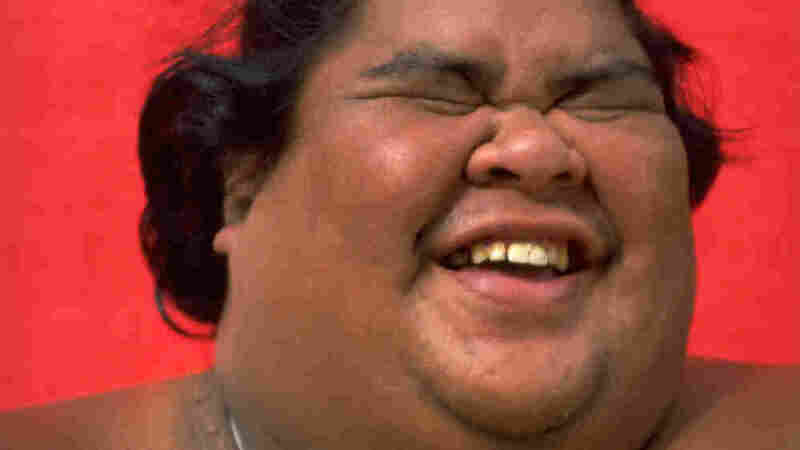 In the summer of 1997, Israel Kamakawiwo'ole , by then one of the most beloved singers in the history of Hawaiian music, died of respiratory failure. He was 38 — and just beginning to see the huge success of "Over the Rainbow." Israel's body lay in state at Hawaii's Capitol building, a rare honor. Days later, he was cremated, along with his vintage Martin ukulele — the one he used to record "Over the Rainbow." The ashes were carried on a traditional Hawaiian voyaging canoe. His longtime friend Del Beazley and producer Jon de Mello were among those onboard. "And going down the coastline," says de Mello, "all the big semi-trucks on the island of Oahu had their air horns blowing. And from the ocean we could hear the echo, the bounce off the mountain ranges." "In the old days," says Beazley, "people would wail when the mo'i or 'king' passed away — and cry. And that's really what it was. This whole island came together just to say goodbye to this one Hawaiian. But I tell you, he would have been laughing."